Why Commute carpooling has become such a hot segment in the San Francisco Mobility playfield? Commute carpooling is one of the main transportation means in urban areas. Total market volume is impressive (in the US, over 13 millions workers are carpooling to go to work every day, i.e. several billions rides in a year); but beyond informal and unorganized commute carpooling practices, the ‘commercial’ part is a small and low-profit segment with many roadblocks. Bearing this in mind, BlaBlaCar, one of the global ridesharing leaders, hesitated a decade before recently deciding to open its offer to short distance trips. Players face indeed structural challenges to balance offer with demand, with a lack of drivers willing to carpool for the regulated remuneration level (based on an average usage cost per mile). 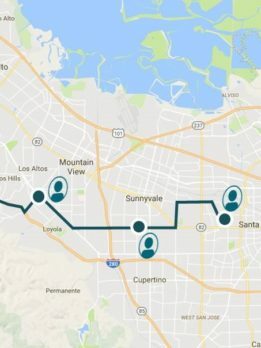 However, several digital start-ups have recently entered the market, especially in the San Francisco Bay Area (the ‘laboratory’ for all new mobility models), with the ambition to unlock the full market potential. In addition, major players such as Google, Uber and Lyft have recently demonstrated a strong interest in the market.